Island Conservation staff train local residents restoration techniques. This past February, I was lucky enough to spend three weeks on Robinson Crusoe Island, Chile working alongside local residents who are committed to the conservation of their extraordinary island home. The island, which is located approximately 415 miles (670 km) off the coast of central Chile, is one of the only places where the Vulnerable Pink-footed Shearwater (Ardenna creatopus) nests. Unfortunately, these seabirds are harmed by invasive feral cats that prey on the shearwaters’ chicks and eggs. They are also threatened by European rabbits and other invasive herbivores that consume native vegetation and cause erosion on the slopes where the birds nest and raise their young. Of the three islands worldwide where these shearwaters nest, only one is safe from invasive mammals (Santa Clara Island). Robinson Crusoe Island is also home to approximately 900 year-round human residents who live in a small town situated on the hillsides surrounding Cumberland Bay on the northeastern side of the island. My reason for visiting the island was to train island residents in the skills necessary to protect endangered species through invasive species management. 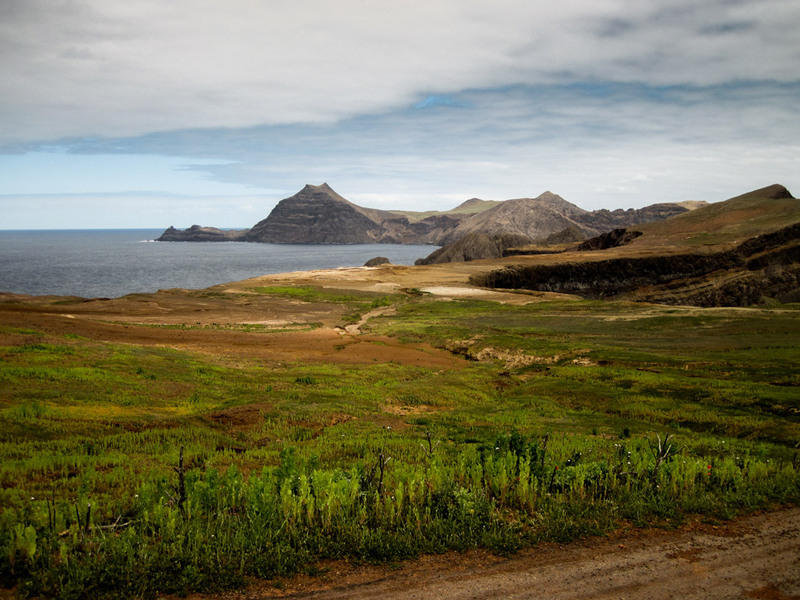 Our focus during the training session was Tierras Blancas, on the western end of the island. Tierras Blancas means ‘white earth’ in English, and it is in this substrate that the shearwaters dig their nesting burrows. The terrain is barren and steep, so we have to be careful not to fall while simultaneously picking a route that prevented us from impacting the birds’ nests. The methods to detect and remove invasive species are easy to learn but difficult to master. I certainly cannot count myself among the ‘masters’, but I’m good enough to give other passionate conservationists a decent start. After that, it’s all about practice and learning from your observations and mistakes. The methods to detect and remove invasive species are easy to learn but difficult to master. 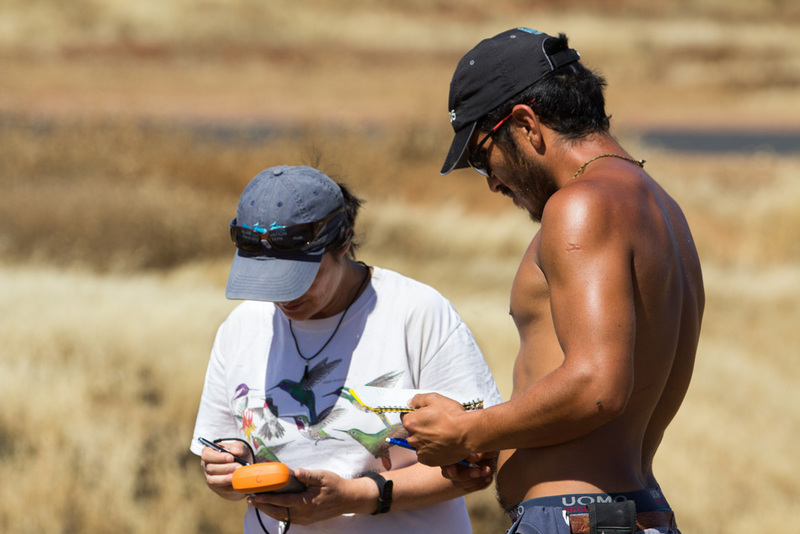 More challenging, but equally important, was learning to use handheld field computers to record the various types of data necessary to inform the project’s progress and guide future strategies. The units we used have built-in GPS and serve as a one stop shop for project information. They can, however, be a bit overwhelming and so we started the training slowly – with a game. I broke the group up into small teams and instructed them to mark a variety of points in the fields near our camp. We then switched units between the teams and they practiced navigating to points using only the GPS features and entering different types of data. If this sounds like loads of fun, you may have a future in conservation! In all seriousness, I found it was a good way to introduce things piece-by-piece and help navigate through the overwhelming amount of menus, icons, and data fields. I was lucky to have two of my Chilean co-workers participating in the training. Diego Tabilo has incredible energy and never flinches in the face of hard work. Sara de Rodt lives on Robinson Crusoe Island and I think deserves full credit for us getting anything done at all. She prepared all the gear and made absolutely sure things ran smoothly. Robinson Crusoe Island is an incredible place, especially in late summer. We got to spend our free time enjoying great company, eating great Chilean food (enough for an entirely separate blog post! ), swimming, snorkeling and even scuba diving. The biodiversity underwater matches or exceeds what you can see on the island. I’m grateful to get to experience such a remote and incredible place, and to work to help protect the rare species found there. The biodiversity underwater matches or exceeds what you can see on the island. Robinson Crusoe Island residents recognize the importance of their island’s native species. 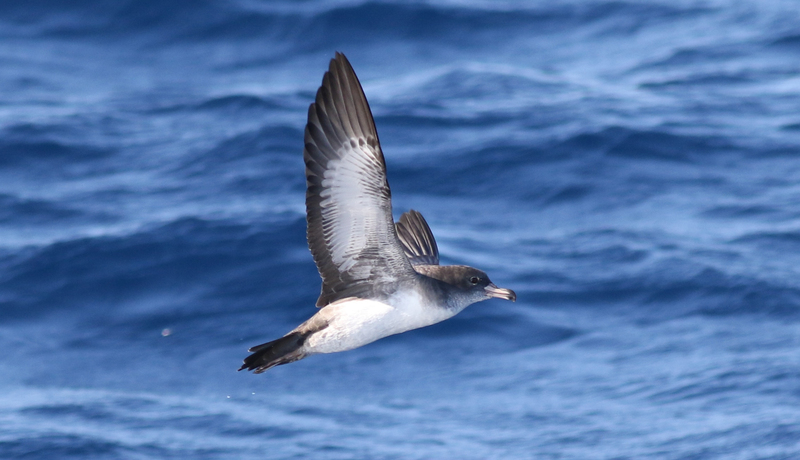 By sharing invasive species removal techniques and methods, island residents are able to take action to protect the beloved Pink-footed Shearwater. I’m confident that by working together, we can one day provide a safe nesting site for the shearwaters on Robinson Crusoe Island.